The ISAC Science Steering Group (SSG) takes overall responsibility for planning and implementation of ISAC science activities, including the development of the science plan. Among other activities the SSG works to ensure the integration of the observation, modelling, and application elements of ISAC to produce an efficient, productive, and appropriately interdisciplinary program with a strong human dimension. The SSG helps to coordinate international activities necessary to conduct a pan-arctic interdisciplinary program and works to coordinates with, and contributes to, ongoing and future impact assessments. SSG membership aims for a balance between the physical and social sciences. The SSG may form working groups and panels to address specific questions or groups of questions in specific regions and/or requiring especially close scientific or operational cooperation. 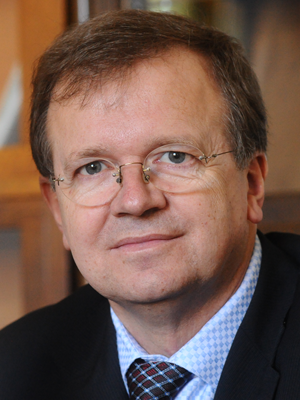 Jean Claude Gascard is a physical oceanographer and Senior Scientist for the French Centre National de la Recherche Scientifique CNRS. He was the project leader for the EU-funded ACCESS (Arctic Climate Change, Economy and Society) project and for the EU-funded DAMOCLES (Developing Arctic Modeling and Observing Capabilities for Long-term Environmental Studies) consortium which consist of 48 institutions in 11 European countries plus the Russian Federation and Belarus. DAMOCLES was an integrated ice-atmosphere-ocean monitoring and forecasting system designed for observing, understanding and quantifying climate changes in the Arctic. Peter Schlosser is the Associate Director and Director of Research of the Earth Institute at Columbia University, the Vinton Professor of Earth and Environmental Engineering in the School of Engineering and Applied Science, and Professor of Earth and Environmental Sciences at Columbia University. He is also a Senior Staff Scientist at Lamont-Doherty Earth Observatory. Schlosser's research is directed towards understanding the Earth’s natural water bodies including oceans, groundwater and continental waters, their perturbation by human activity, and the possibility of designing engineering solutions to the problems caused by their development. He is a past member of National Academy of Science panels on the International Polar Year and the Arctic Observing Network. 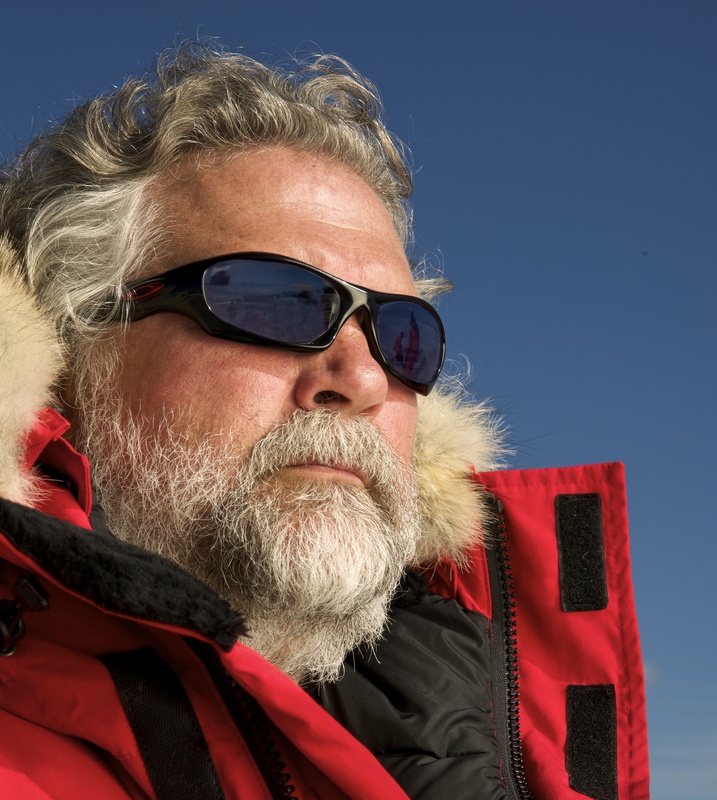 He served as a co-chair of two Arctic Research Commission/NSF Working Groups on Arctic Research Support and Logistics. He is the past chair of the science steering committee of the Study of Environmental Arctic Change (SEARCH). David E. Atkinson is an Assistant Professor in the Dept. of Geography, University of Victoria, and serves as an Associate Editor of Journal of Geophysical Research Atmospheres. His research focus is high latitude storm tracks and dynamics and how weather forces other physical and human systems, particularly marine, coastal, and glacial. His entire academic career back to his B.Sc. research project has focused on the Arctic, including Master’s and PhD field work throughout the Canadian Archipelago, followed by post-docs at University of Ottawa and Bedford Institute of Oceanography. He was on staff for six years at University of Alaska Fairbanks before moving to UVic in summer 2010. His research team, funded by NOAA, NSERC, CFI, and ArcticNet, works in coastal Western Alaska and eastern Canadian Beaufort Sea. 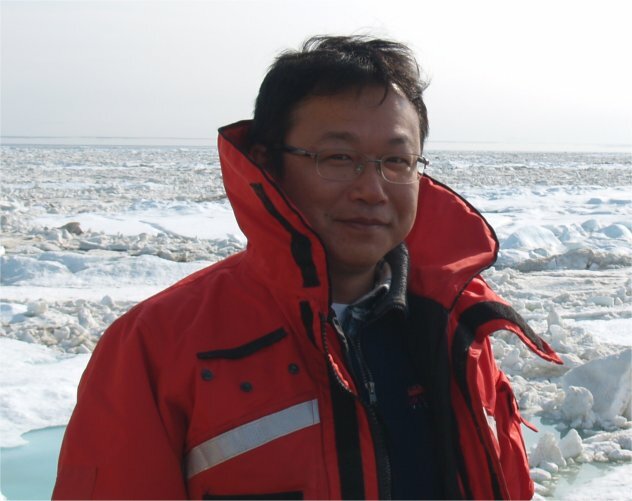 Hiroyuki Enomoto is the Director of Arctic Environment Research Center of National Institute of Polar Research (NIPR) in Japan, and professor of the Graduate University for Advanced Studies. He is a working group member of International Arctic Science Committee (IASC) and Division Head of Marine and Fresh Water Ice Studies of in International Association of Cryospheric Study (IACS). He has worked as Chair of Polar Cryosphere Subcommittee in the Japanese Society of Snow and Ice, and recently he started working as the Chair of Japan Consortium for Arctic Environmental Research (JCAR). His research focus is climatological investigations of snow and ice of ocean, land and ice sheet. Using satellite microwave remote sensing and filed work on polar snow and ice, his research concerns widely scanning changing cryosphere. 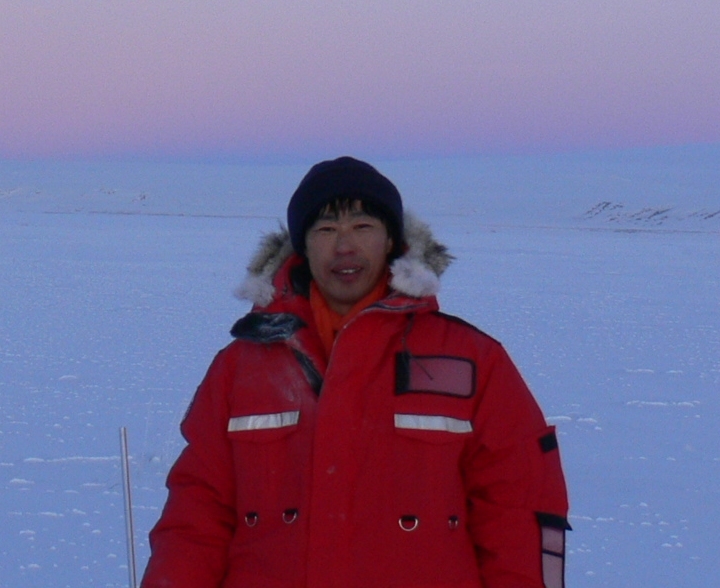 Prof. Enomoto colloborates widely on international polar expeditions, as well as with the science community in general. Christine Cuyler is a research scientist at the Greenland Institute of Natural Resources n Greenland's capital city, Nuuk. She obtained her undergraduate degree from the University of Guelph, Ontario, Canada, while her Masters and Ph.D. are from the University of Oslo, Norway, where she studied reindeer on Svalbard. 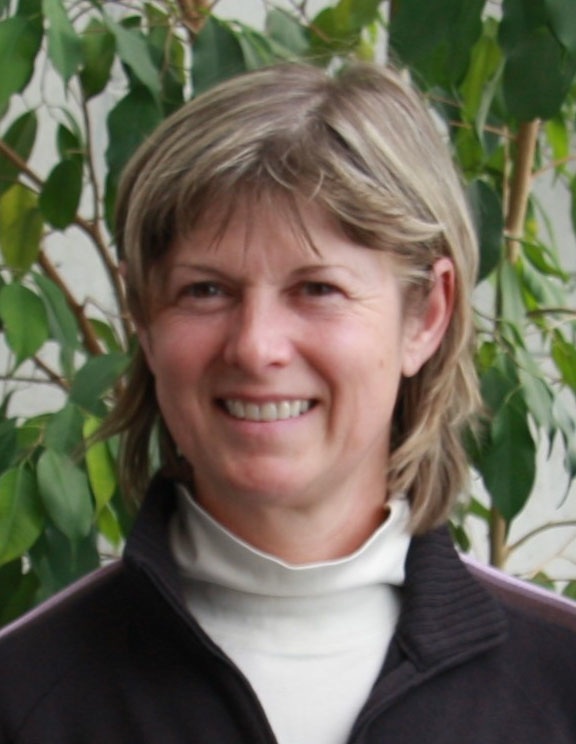 Currently She is responsible for population assessment and research on Greenland's two large herbivores, caribou (Rangifer tarandus ssp) and muskoxen (Ovibos moschatus), and providing management advice to the Greenland self-rule government about these two species. 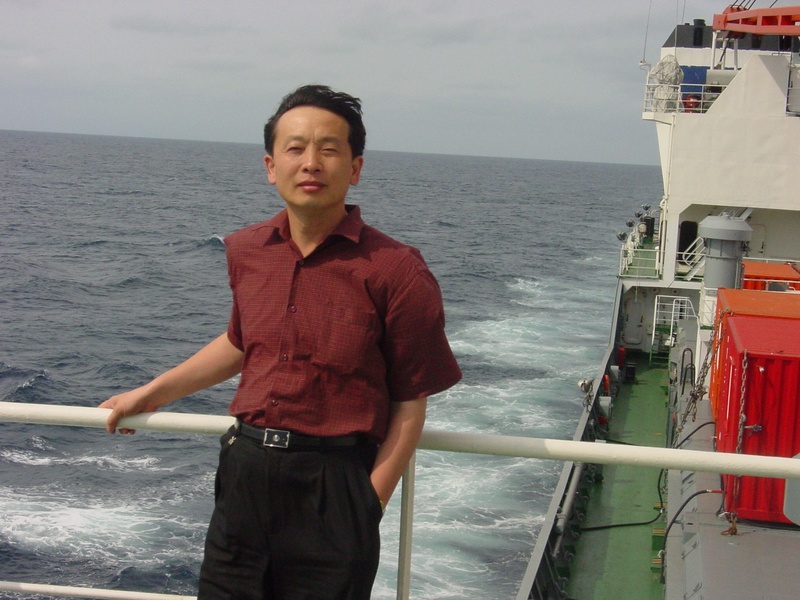 Jingping Zhao is a physical oceanographer at the College of Physical and Environmental Oceanography, Ocean University of China. His research is focused on polar physical oceanography and sea ice, ocean circulation and global climate change, and the current system along the continental shelf of China seas. Current research programs include: 1) Study on the structure of Arctic Circumpolar Boundary Current and its impact on climate change; 2) adjustment of the thermal structure in the Arctic Ocean and its feedback during global change process; and 3) interaction of sea ice decline and Upper Ocean warming, and associated climatologic and ecological processes. Dr. Zhao is presently the Chairman of Chinese Committee of IAPSO (International Association for Physical Science of Oceanography), IUGG. Michael Tjernström Past Chair, ISAC SSG is a Professor of Meteorology at Stockholm University. His research is mainly experimental, and he has led icebreaker-based research expeditions to the central Arctic basin twice. He also works closely with modellers to improve and evaluate regional Arctic climate modelling. 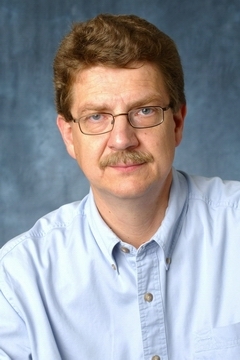 He is on the Science Advisory Committee for the European Center for Medium Range Weather Forecasts (ECMWF), was chair of the Swedish National Committee for IGBP and WCRP and is a member of the WCRP Observations and Assimilation Panel. He received a B.Sc. in meteorology at Stockholm University in 1980 and a Ph.D. in meteorology at Uppsala University in 1988 and has been a member of the faculty at Stockholm University since 1988. Koji Shimada is a physical oceanographer of Department of Ocean Sciences at Tokyo University of Marine Science and Technology. His research is focused on climate dynamics including the recent changes in the Arctic. He is also an officer (education and outreach of the Oceanographic Society of Japan) and a member of Japan national committee for IASC, Science Council of Japan. Prior to his teaching position at Tokyo University of Marine Science and Technology, he worked as a leader of Arctic research project in the Japan Agency for Marine and Science Technology (JAMSTEC) where he conducted extensive field researches in the Arctic Ocean every year since 1996. He earned his Ph.D. in geophysical fluid dynamics from Kyushu University, and B.A. and M.S. from Tohoku University. Gaius (Gus) Shaver is a Senior Scientist at the Ecosystems Center, MBL, in Woods Hole, Massachusetts, where he has worked since 1979. Shaver began working in the Arctic as a graduate student, completing his dissertation research on root growth at Barrow, Alaska. 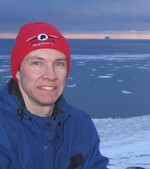 Shaver's principal research interests are in arctic plant ecology and in the role of plants in tundra element cycles. Increasingly over the past 30 years, this research has focused on arctic climate change and its impacts on tundra vegetation and biogeochemistry. Shaver is one of the leaders of the Arctic Long Term Ecological Research (LTER) program at Toolik Lake, Alaska and has served in many advisory and administrative roles in Arctic science and in ecology in the United States. He received his Ph.D. in botany from Duke University in 1976, and B.S. and M degrees in Biological Sciences from Stanford University in 1972. David Barber obtained his Bachelors (1981) and Masters (1987) from the University of Manitoba and his Ph.D. (1992) from the University of Waterloo, Ontario. He was appointed to a faculty position at the University of Manitoba in 1993 and received a Canada Research Chair in Arctic System Science in 2002. He is currently Director of the Centre for Earth Observation Science (CEOS), and Associate Dean (Research), Faculty of Environment, the University of Manitoba. Dr. Barber has extensive experience in the examination of the Arctic marine environment as a 'system', and the effect climate change has on this system. His first Arctic field experience was in 1981 and he has conducted field experiments annually since then. His early work, with Fisheries and Oceans Canada, examined Arctic Marine Mammal habitat detection and change. His later work focused on the geophysics of snow and sea ice and in particular the response of the snow/ice system to oceanic and atmospheric forcing. His research group has a special interest in the coupling between physical and biological marine systems in the Arctic and in the use of Earth Observation technologies in the study of ocean-sea-ice-atmosphere (OSA) processes. Bruce Forbes has a background in applied ecology and geography in permafrost environments. His research encompasses both the natural and social sciences. His experience is circumpolar having conducted fields studies of human impacts on vegetation and soils with special emphasis on the consequences of petroleum development in the boreal forest and Arctic ecosystems of Alaska, Canada, western and eastern Siberia, and Fennoscandia. Recent research has focused on management of arctic ungulates employing both western and local or practitioners' knowledge in cooperation with Nenets and Sami reindeer herders. Dr. Forbes completed his Ph.D. in biogeography at McGill University. He is currently a Research Professor, Docent at the Arctic Center, University of Lapland. Christian Haas is a sea ice geophysicist with a strong research interest in the role of sea ice in the climate system both in the Arctic and Antarctic, and its interaction with the biosphere. His research is also aiming at revealing the underlying causes for the recent, strong sea ice retreat in the Arctic. Haas is working on studies of sea ice properties and processes by means of in-situ measurements, airborne and satellite remote sensing and modeling. His main activities are the establishment of operational ice thickness measurements in the Arctic ocean, with the goal of systematic observations for climate studies, and satellite and in-situ investigations of snow processes on sea ice. He completed his education at the University of Bremen and at present is on the faculty of York University, Toronto, Canada. John Walsh is a President's Professor of Global Climate Change at the University of Alaska, Fairbanks (UAF). He is also the Director of the NOAA/UAF Cooperative Institute for Alaska Research and of the Center for Global Change. His primary research interests are; Arctic climate change over the decade-to-centurey timescale; predictability of climate change in high latitudes, sea ice variations; and extreme weather events in the context of climate change. He was the lead author for the cryosphere chapter of the Arctic Climate Impact Assessment (2005) and a lead author for the Polar Regions chapter of the IPCC's Fourth Assessment Report (2007). He is an Associate Editor of the Journal of Climate. Prior to his position at the University of Alaska, Walsh spent 30 years on the faculty of the University of Illinois at Urbana. He is the co-author of an undergraduate textbook on severe and hazardous weather. He earned his Ph.D. in meteorology from the Massachusetts Institute of Technology in 1974 and his B.A. from Dartmouth College in 1970. 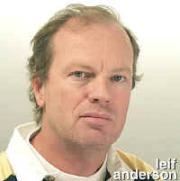 Leif Anderson is professor at the department of chemistry, University of Gothenburg. His research is in the field of marine chemistry with a focus on the inorganic carbon system of high latitude oceans, and he has published about 100 articles in peer-reviewed journals and books. Leif G. Anderson has had an extensive international collaboration with a long experience in field studies including the participation in more than 10 scientific expeditions to the central Arctic Ocean and two to the Southern Ocean. He has several assignments in international and national organizations, including being a member of the Scientific Advisory Board of the Alfred Wegener Institute and is at present head of the department of chemistry, University of Gothenburg. 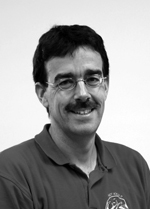 He is a member of the Royal Swedish Academy of Sciences and has served as advisor to the ISAC Science Steering Group.